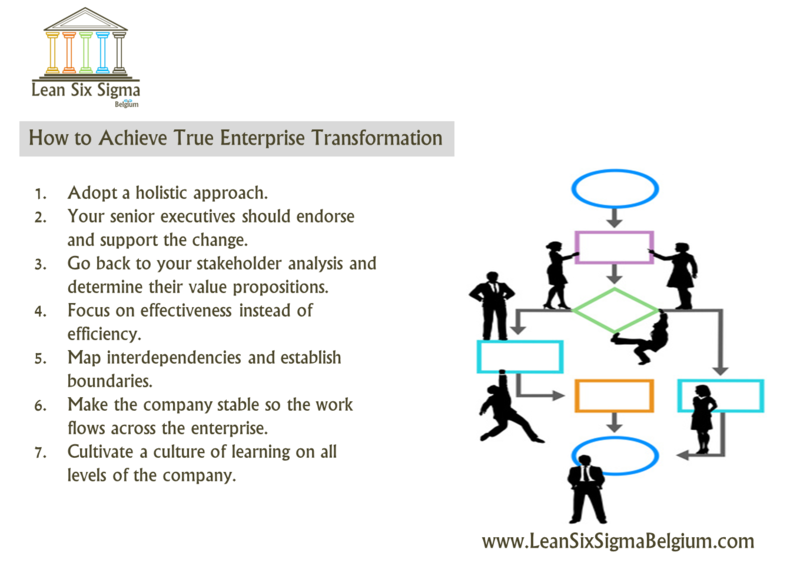 We think that the Lean management paradigm is important but too near-sighted to bring about true transformational change. 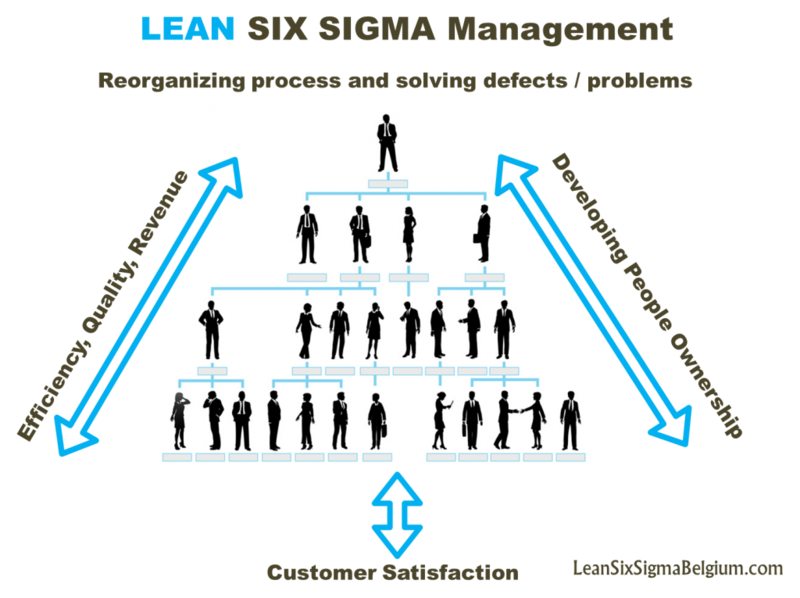 If your company only needs a little tweaking then Lean Six Sigma is a great initiative. On a larger scale, however, when the situation is change or die or even in company stagnation despite stability, the approach may be too lean. This is why we think that the ‘beyond lean’ management program goes beyond the near-sighted approach of Lean Six Sigma and is a true guide for a company overhaul. More than just reducing expenses and quickening your processes, it seeks to enact change on every level and through every lens. A stakeholder analysis always looks at your enterprise as something more than just management levels and employment standards. When you look at things from a stakeholder perspective, you identify how everyone is involved and affected as well as how. Only by understanding what everyone’s stake is in the company can you see whether there is going to be any value in any sort of change in your company. Your senior executives should endorse and support the change. No matter how participatory we want to be, change has to be supported from the top to provide motivation and legitimacy from the bottom. The driving force should flow (not trickle!) down from the top and energize the whole of the organization. The whole company should be responsible for the transformative change. Go back to your stakeholder analysis and determine their value propositions. To get everyone on board, you have to do so using your stakeholder analysis. We know that the best way to get someone on board a project is to show them how the result can impact them. Your customers, government agencies, employees, suppliers and everyone that holds your company in some form of value can be included in the change. Focus on effectiveness instead of efficiency. Before you go into processes that make your company efficient, you have to be effective first. Your models, practices and habits have to work. If you run a bakery, you must know how to bake good bread and pastries before knowing how to bake a lot of them at low cost. Map interdependencies and establish boundaries. If you noticed, lean Six Sigma initiatives often ask for a lot of collaboration. Transformative change using the beyond lean management model needs to have clear boundaries so that you as a manager (Green Belt or Black Belt) know where the interdependencies occur. This way, you can eliminate superfluous processes, work and other components. Make the company stable so the work flows across the enterprise. When you’ve stabilized the enterprise, you get to see where bottlenecks occur. Only when operations are moving can you identify where processes and work gets clogged up and where interdependencies ruin the effectiveness of your enterprise. Cultivate a culture of learning on all levels of the company. Your staff should learn as an individual, as a team and as a part of the system. All your stakeholders must participate in learning for the organization so that managers and CEOs can exploit their efforts into transforming the company. In the end, beyond lean management is actually enacted to pave the way for transformative change. The Six Sigma and even the Lean Six Sigma initiatives are too near-sighted for companies that are too complex. In some cases, such myopic programs may even damage the company further.